Create lasting memories at Marriott's Grande Ocean. 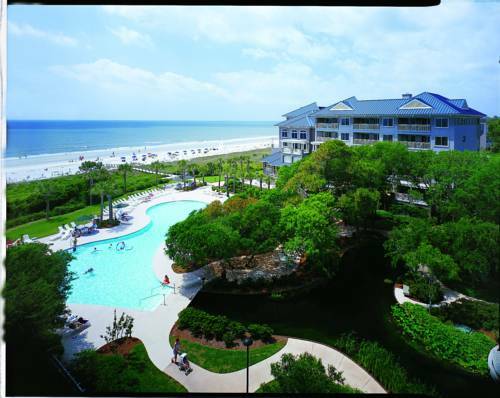 Beautifully perched on the beach in Hilton Head, South Carolina, our oceanfront vacation ownership resort is the perfect setting for family vacations, romantic weekends or a getaway with friends. Feel yourself instantly relax as you enter your welcoming, spacious two-bedroom villa rental, where you'll find a comfortable living room, generous dining area, a fully-equipped kitchen and a furnished balcony. All around our lushly landscaped resort, you'll discover plenty of activities to keep your entire group entertained, including three outdoor pools, an indoor pool, a fitness center, whirlpools, bocce ball, shuffleboard, a putting green, bikes for rent, nature trails, a seasonal kid's camp, poolside dining and, of course, the beach. When it's time to explore Hilton Head, the island's most well-known activities are just minutes away. Whether visiting for a short stay or staying with us for a while, we look forward to greeting you at our Hilton Head resort. The Dolphin Grille: Relax poolside while dining on mouth-watering burgers, hot dogs, specialty sandwiches, salads, wraps and other family favorites. Enjoy your lunch from your lounge chair, or take a break from the sun at one of our umbrella-topped tables. Loggerhead Landing Pool Bar: Cool off with one of the delectable frozen drinks and cocktails at our seasonal pool bar. Sip your cocktail, made with real fresh fruits, in our intimate oceanfront setting from March to November. Weekly Dinner Events - Including BBQ and Low Country Boil (Seasonal Times and Pricing): Join us for our resort's weekly dinner events, the perfect place to meet our other guests and socialize. Let us take care of your dinner plans for the evening while you mix and mingle.